It's two more days until Father's Day and if you still haven't found a gift for dad yet then take a look at The Body Shop's White Musk For Men Shower, Soften & Spritz Trio ($45 CAD). This trio comes prepackaged in a classy purple tin, making it the perfect last minute Father's Day gift. The items come in a very sleek matte purple metal tin, ready for gift-wrapping. The body wash and the aftershave both come in a white and purple gradient squeeze tube and the Eau de Toilette comes in a simple rectangular glass bottle with a dark purple ombre that fades towards the base. I really like the packaging of the whole set, everything feels very modern and clean. The White Musk for Men line all contain a blend of lavender, geranium, musk and sandalwood notes. To me, the scent is very warm and welcoming, almost a little too sweet for a men's cologne, which I obviously don't mind because that means I can spritz some on myself anytime I like. With that said though, I think the scent is still very suitable for dads because it does exude a kind of warm and paternal vibe. 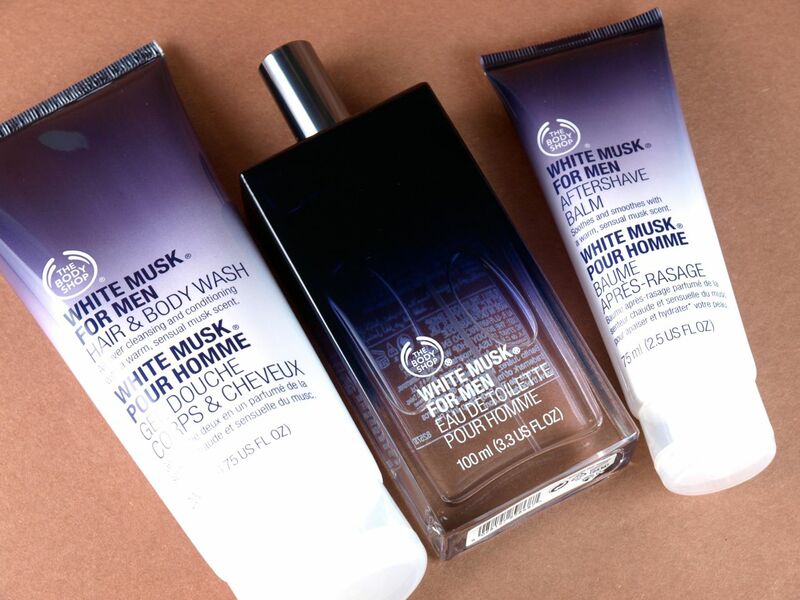 The Body Shop White Musk for Men Shower, Soften & Spritz Trio gift set can be found at all The Body Shop stores across Canada. Does your dad wear cologne? What's his signature scent? Let me know in the comments below!